Bushnell Outdoor Products, an industry-leader in high performance sports optics and outdoor accessories for more than 60 years, has improved its 2011 Trophy Cam series with a variety of new features. The Trophy Cam has quickly become one of the most popular trail cameras on the market by leading the way with an impressive one-year battery life and one-second trigger speed. Equipped with a 45-foot motion-activated sensor, 32 low-glow LEDs standard and the new Field Scan feature, the Trophy Cam allows users to record game activity around the clock. The Field Scan time-lapse technology automatically captures images at pre-set intervals, from one minute to 60 minutes, allowing users to pattern game and expand coverage beyond the sensor range. In addition, the day/night auto sensor allows the user to monitor game any time of day. The Trophy Cam is the only camera in the industry with the ability to capture live trigger and time-lapse images simultaneously. The Trophy Cam features an enhanced full color resolution of 8 MP and a new audio record feature that enhances the camera’s impressive video functionality. To ensure the user never misses an image, the 32 GB memory capacity allows user to capture more than 20,000 photos on a single memory card. 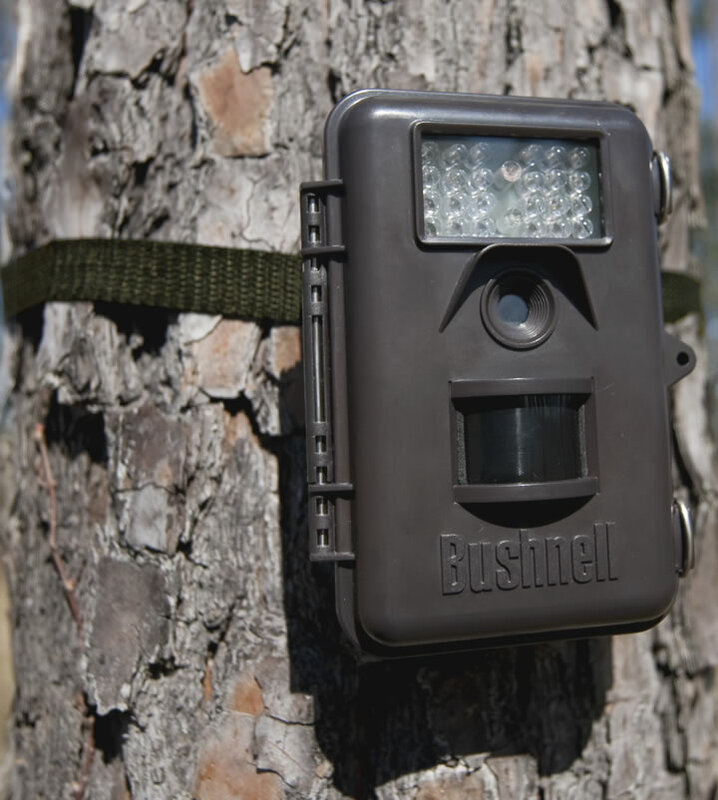 In addition, Bushnell has introduced two new high-definition video Trophy Cams, giving users the ability to capture unprecedented video footage from a trail camera. Another optional feature available on two select models is a built-in color viewer with enhanced zoom, allowing users to conduct a more thorough, in-the-field review. With all the new advancements, Bushnell continues to improve the most reliable trail camera in the woods. 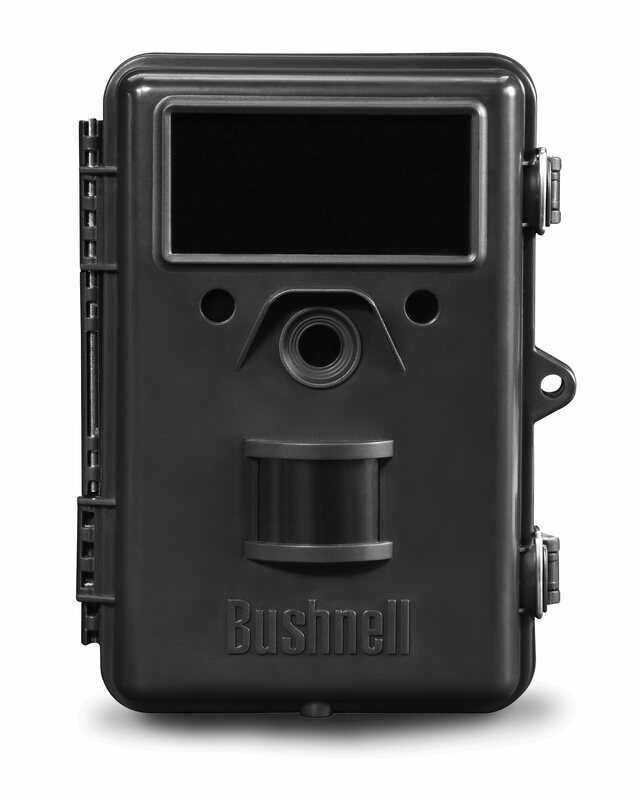 The Bushnell Trophy Cam is available in five different models and includes an adjustable web belt for quick and easy setup in the field. This entry was posted in Hunting, Press Releases, Product Reviews and tagged best trail cam, best trail camera for deer hunting, bushnell deer camera, bushnell trail cam, deer hunting, deer hunting equipment, trophy cam trail camera. Bookmark the permalink.